One of the best ways to get a feel for a new city is to sit down and have a few beers with the locals. 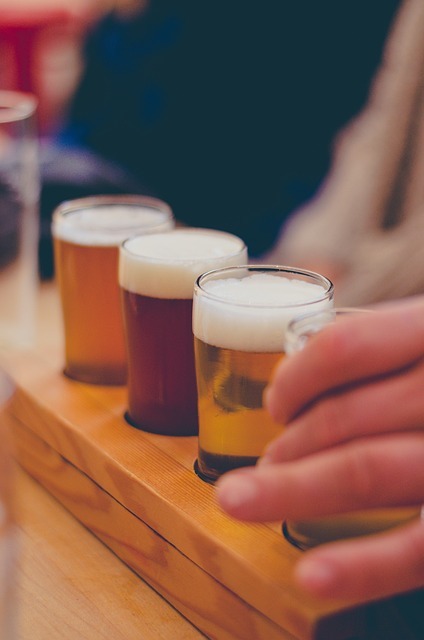 Our Reykjavik Beer Lovers’ Tour is your chance to get a heads-up on the best Icelandic craft beers to enjoy on your trip. 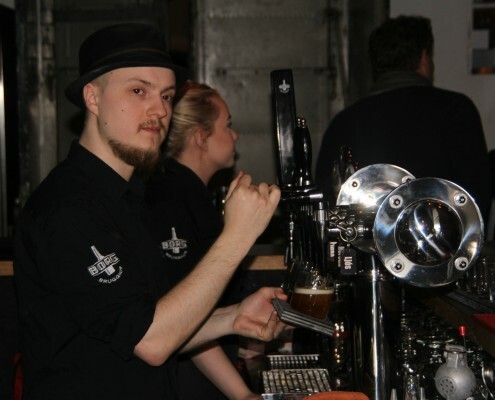 Icelandic people have a short, but proud history of making beer (we need to put our lovely, fresh water to good use). 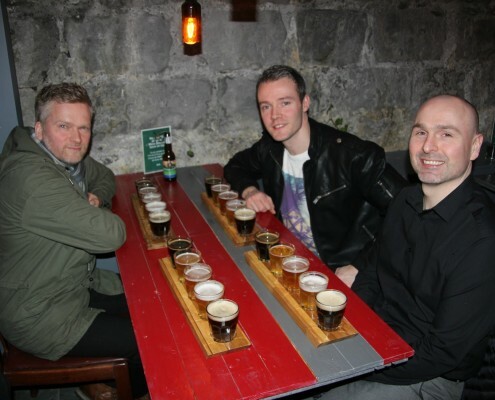 We’ll fill you in on the history of beer, from the Vikings, right through to the resurgence of microbreweries today. 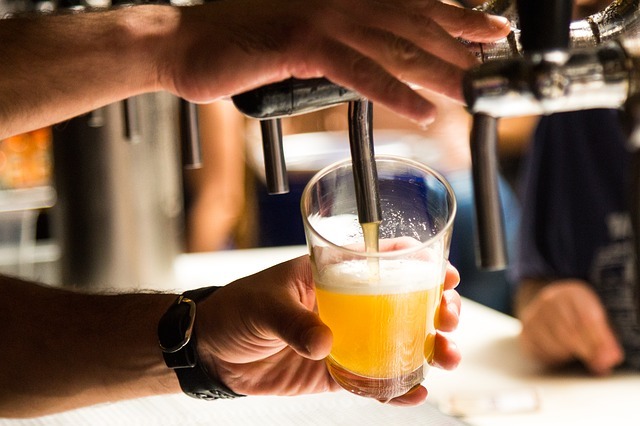 Did you know that beer was once banned in Iceland for 74 years? Thankfully, this is not the case anymore! You’ll learn all about this bizarre story, and our unique drinking culture on the tour. 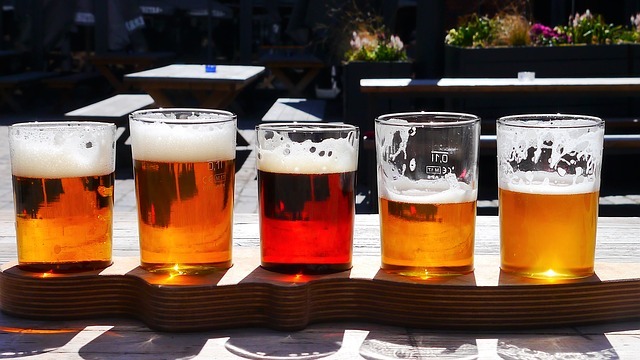 This isn’t your average pub crawl, we’ll show you some of our favorite bars in Reykjavik where you’ll get the chance to sample 10 different Icelandic beers. We might even be able to give you a sample of a brand new craft beer from an Icelandic microbrewery that isn’t available on the market yet. The tour runs from 5 pm – 7:30 pm and on some days from 8 pm – 10:30 pm. It’s the perfect way to kick off your night in Reykjavik or make the most of your stopover. You can even pick our brains for the best place to eat after the tour, or where to party if your night is heading that way. There’s nothing better than relaxing in the pub, having a beer with new friends. 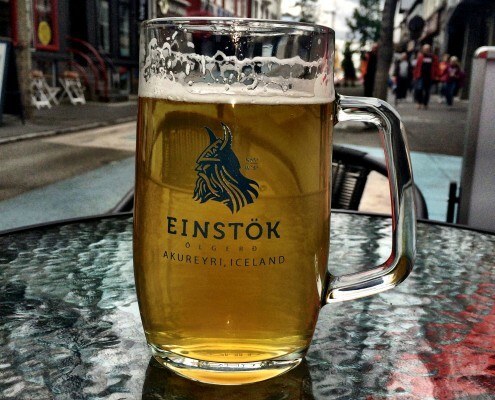 Our starting point is at Ingolfstorg (Ingolfs Public Square) by Adalstraeti (Mainstreet) in the center of Reykjavik. You’ll find us by the two stone pillars. There is a short walk between the bars, so please dress warmly; we are in ICE-land after all. Experience the legendary Reykjavik nightlife like the locals! 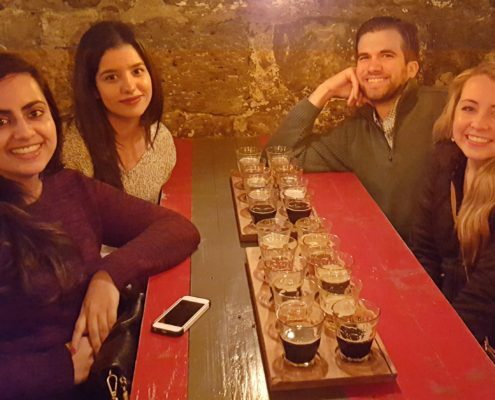 Enjoy must have Icelandic drinks, meet new friends and have a local show you the best bars and clubs in Reykjavik! Feel the fresh sea wind in your face as you cycle through Reykjavík, taking in the city´s most historical and spectacular sights. Learn all about the rich history of this lovely old seafaring town from our Reykjavík specialist guide.